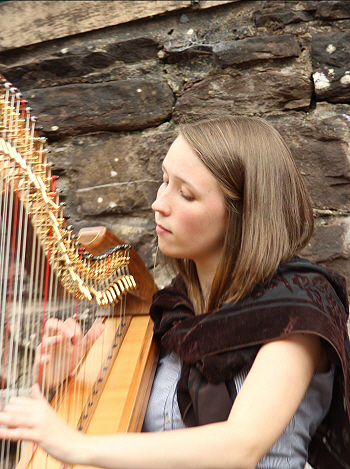 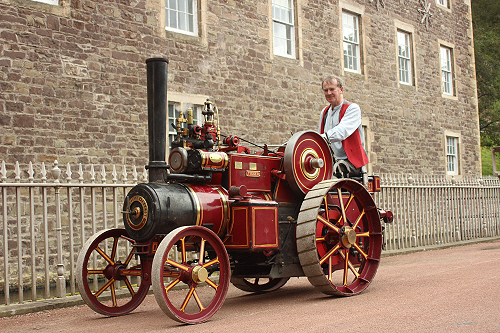 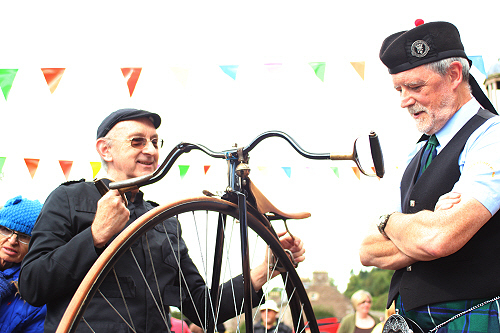 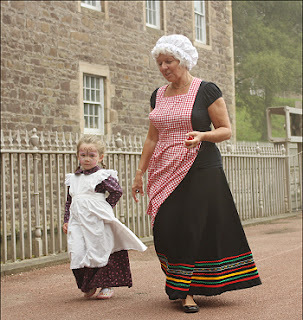 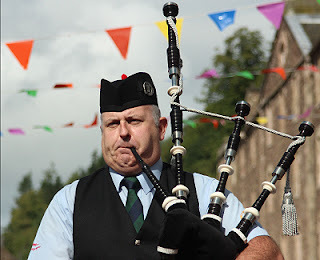 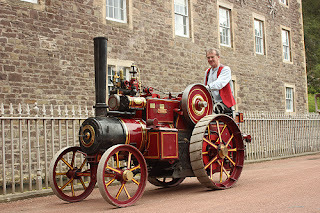 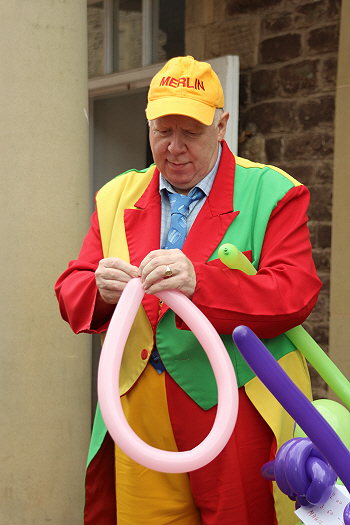 Every year the village of New Lanark holds a Victorian Fair. 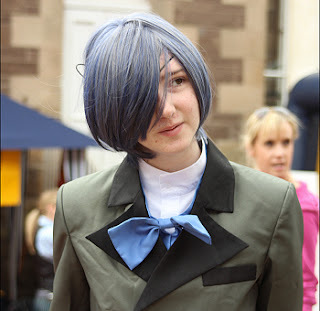 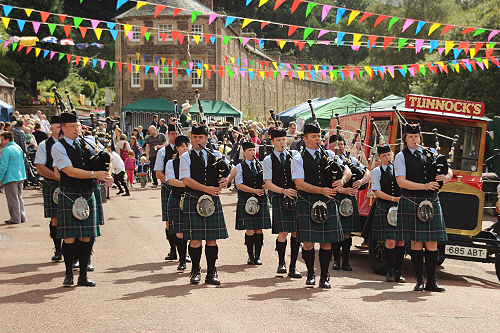 This year it was held on Sunday 2nd of September and was as enjoyable as ever. 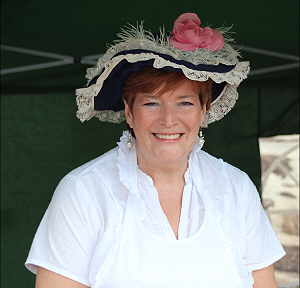 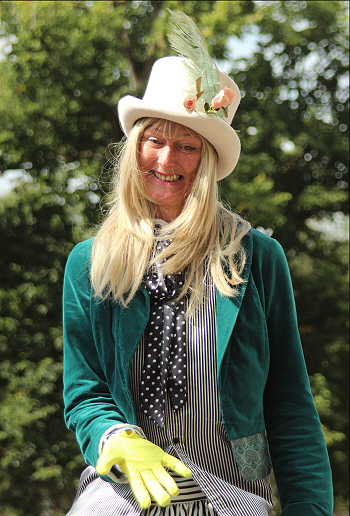 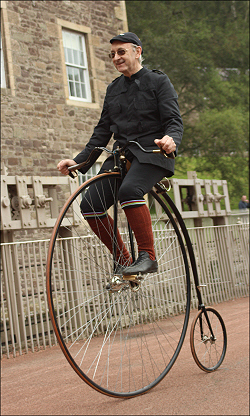 The Fair encourages many local people to dress in Victorian costume and entertain the visitors with games, victorian objects and selling local foods, crafts and toys. 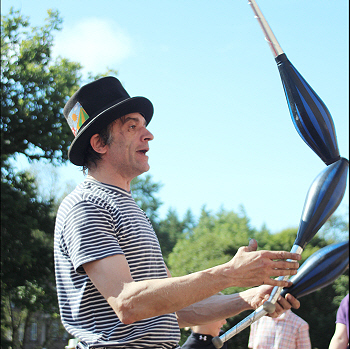 The day started off cloudy, but at 12.00 noon when the Fair was officially opened, the sun came out to give a warm afternoon. 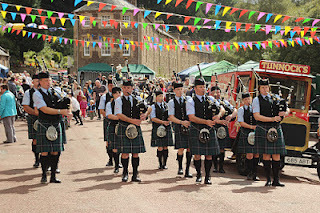 The pipe band from Lanark played as the Fair was opened and marched through the village to the delight of the visitors. A lady on stilts, a juggler and a gentleman on a penny-farthing bicycle were present throughout the afternoon and other acts were there part of the day. Many local people had stalls selling hand-made teddy bears, wooden ornaments, oil-paintings and local groups such as the Scottish Wildlife Trust and the RSPB had information areas. 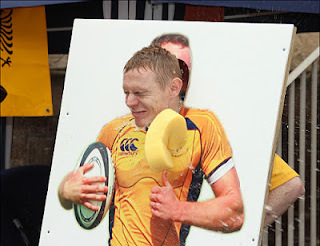 The local rugby club also were in force inviting visitors to throw wet sponges at the players. It was a very enjoyable day and I look forward to the Victorian Fair next year. New Lanark, by Lanark, is around an hour’s drive from Glasgow (25 miles/40 kms) or Edinburgh (35 miles/56 Kms).